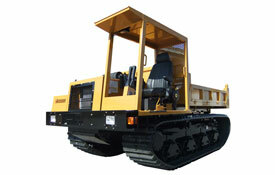 A tracked carrier can go anywhere you need it to. 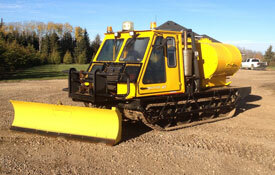 These machines are perfect for remote, rugged areas. 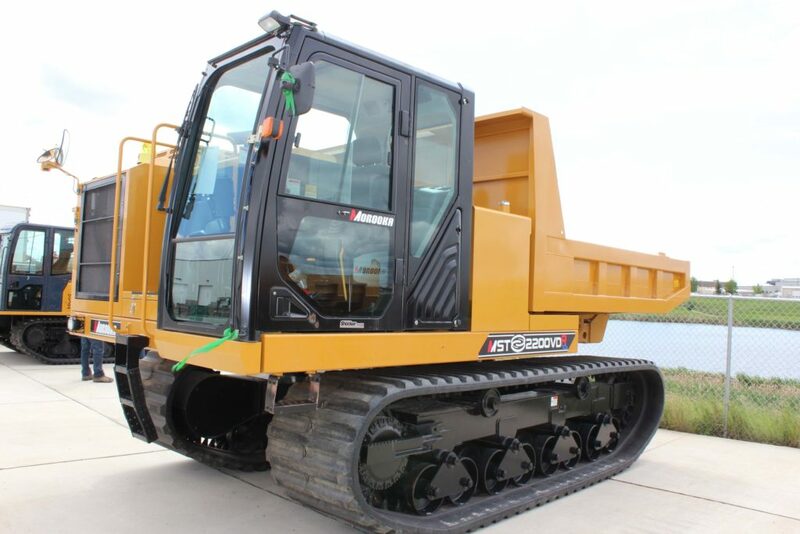 Pioneer Offroad Rentals has a wide variety of tracked units with flat decks and dump beds suited for your terrain and payload demands. With some of the best names in rubber tracked and steel tracked carriers available Pioneer is sure to have the machine that is the best fit for your requirements. 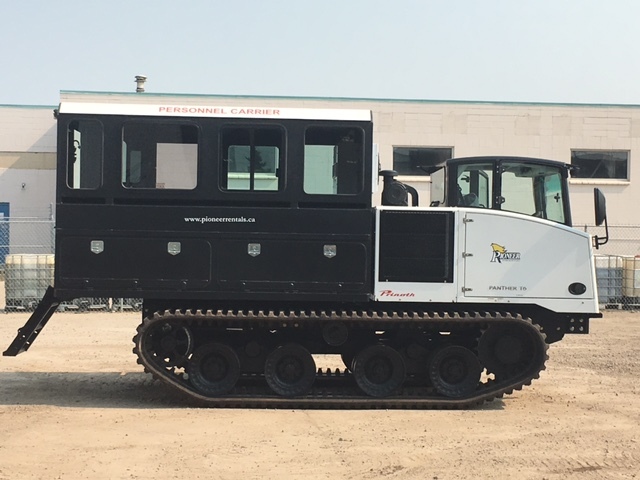 The All-Track AT-80HD is a rugged, dependable and robust tracked all-terrain vehicle capable of traversing a wide variety of ever changing terrain conditions. 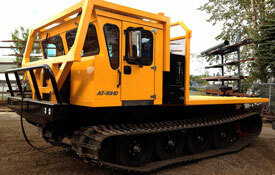 With features like a heavy duty walking beam suspension, 33″ d-dent tracks and powerful hydro-static drive system, the AT-80HD suits virtually any industry where remote access is crucial. The 5 person crew cab is ideal for work-site transportation. Dimensions L: 251" x H: 108" x W: 102"
Dimensions L: 212.6" H: 101" W: 96"
The Panther T6 low ground pressure crawler carrier operates efficiently, reliably and cost-effectively in unimaginable offoad and weather conditions. 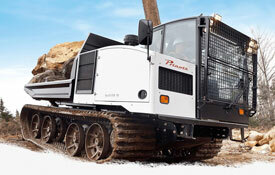 With its truck-style chassis, this tracked vehicle is compatible with virtually all implements, without modifications. The Panther T6 delivers exceptional performance, speed and versatility in various sectors such as in mining, construction, oil and gas as well as electric utility. 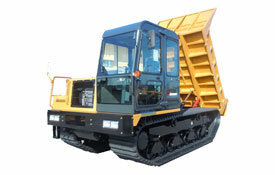 Dimensions L: 183" x H: 101" x W: 96.4"
The Morooka MST800VD is an easy to operate powerful dump bed carrier. The Morookas enhanced hydraulics coupled with the Caterpillar C4.4 engine makes the Morooka MST800VD a reliable choice for your transport requirements. 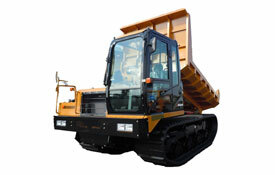 Dimensions L: 14'6" x H: '10" x W: 7'7"
The Morooka MST1500VD is an easy to operate powerful dump bed carrier. The Morooka’s enhanced hydraulics coupled with the Caterpillar C6.6 engine makes the Morooka MST1500VD a reliable choice for your transport requirements. Dimensions L: 17'5" x H: 9'6" x W 8'6"
The Morooka MST2200VD is an easy to operate powerful dump bed carrier. The Morookas enhanced hydraulics coupled with the Caterpillar C7 engine makes the Morooka MST2200VD a reliable choice for your transport requirements. Dimensions 19'8" x H: 10'2" x W: 9'8"
The Morooka MST2200VDR features a 360° revolving upper structure that allows that operator to deposit soil exactly where needed. Its next generation single handle controller makes operation effortless. The Morookas enhanced hydraulics coupled with the Caterpillar Tier 4F Engine puts the new Morooka MST2200VDR is in a class all by itself. Its spacious cabin is ROPs certified for operator safety and utilizes a seven inch digital information display that provides the operator with up to the second machine performance data. To further increase job site safety the MST2200VDR includes a back-up camera and heated remote mirrors. The Morooka MST 3000VD is Morooka’s largest machine offered in Canada. 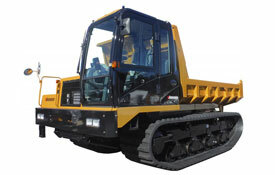 Powered by a Caterpillar C-9 engine, they provide unparalleled performance and reliability. Dimensions L: 20'2" x H: 10'4" x W: 10'4"
Dimensions L: 152" H: 93" W: 94"